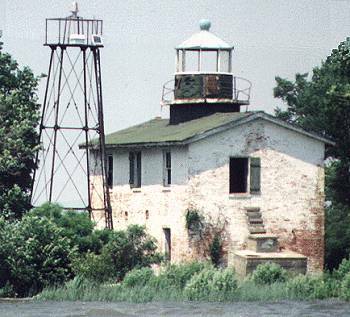 Fishing Battery Lighthouse* – Chesapeake Chapter U.S.L.H.S. Head Keepers: John Levy (1853), Sarah Levy (1853 – 1855), John Mahan (1855 – 1856), Nicholas Sutor (1856 – 1861), William Youse (1861 – 1864), William Canell (1864), C. Himmersley (1864 – 1867), James H. Price (1867 – 1869), John D. Bartol (1869 – 1881), George W. Mitchell (1881 – 1911), Patrick Reedy (1911), William R. Schoenfelder (1911 – at least 1916). Directions: Accessible by boat only.